This works as advertised! I love the coating on it as all the hair just slides off in the trash. And it's a great size which prevents the spread of hair all over the counter!! My husband, son and son in law got these each uses it for a different part of the head. It is so nice for me not to have to chase wayward hair and for my daughter and daughter in law. 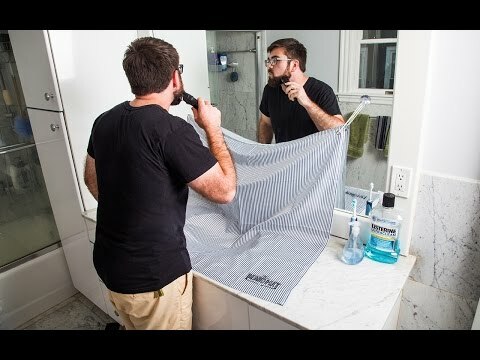 Bought this for my hubby for Christmas because I was tired of all the beard trimmings all over the sink. I don't know what he thinks of it but I'm thrilled! 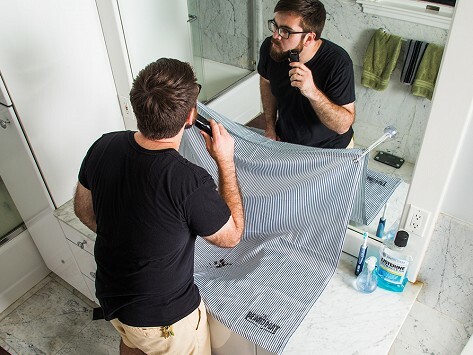 I used to put a towel over the sink in an attempt to catch all of my beard trimmings. This works great. Easy to use and store. Keeps our bathroom much cleaner!